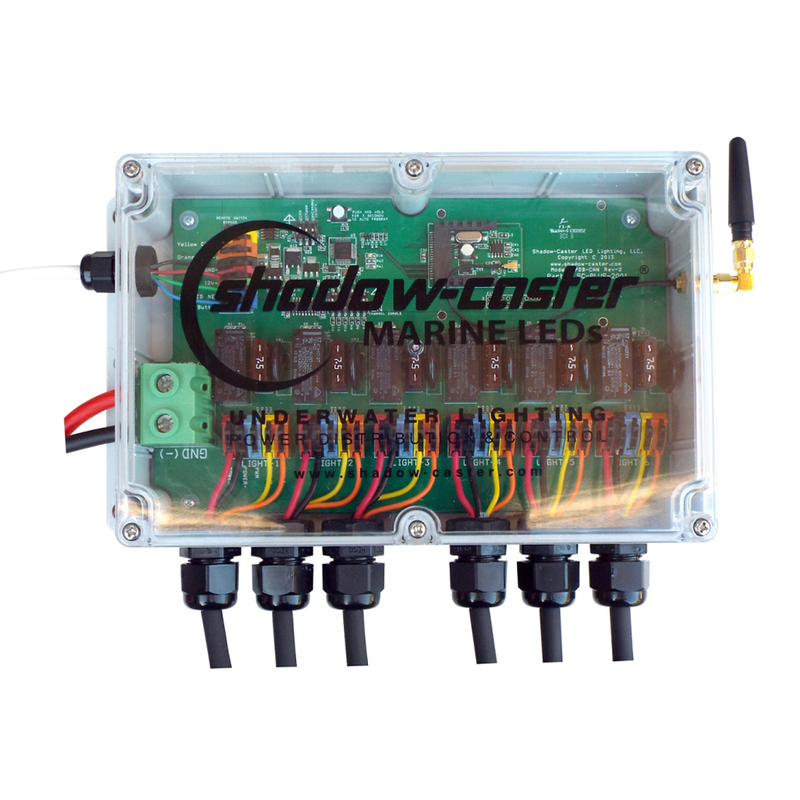 The Shadow-Caster Power Distribution PLUS (SCM-PD-PLUS) provides a convenientway to connect and control multiple Shadow Caster Lights. The incorporated ShadowNetcommunications enables compatibility with Shadow-Casters color changing andsingle color lights. The SCM-PD-PLUS can easily be upgraded to wireless controller byinstalling the compatible wireless card (SCM-WC-SN) or purchasing the SCM-PDPLUS-COMBO. The SCM-PD-PLUS has on board power switching, for 6 lights and up to 100 amps.Each light is individually switched and has its own fuse. The on-board power switchingfeature greatly simplifies installation by allowing the power to be taken locally from amain breaker, as opposed from the helm. The lights are controlled with a pre-wiredwaterproof switch.